FOLLOWED BY 'MEET THE DIRECTORS'. Paraná: Camera | Carina Bini | Manu P. S.
Synopsis: Brazil, A View from Inside offers insightful observations of the country with powerful messages conveyed through stunning imagery and well chosen interviews. This work have succeeded in doing a quick-paced film with the book, 'From Inside Brazil' by Indian economist Vinod Thomas. 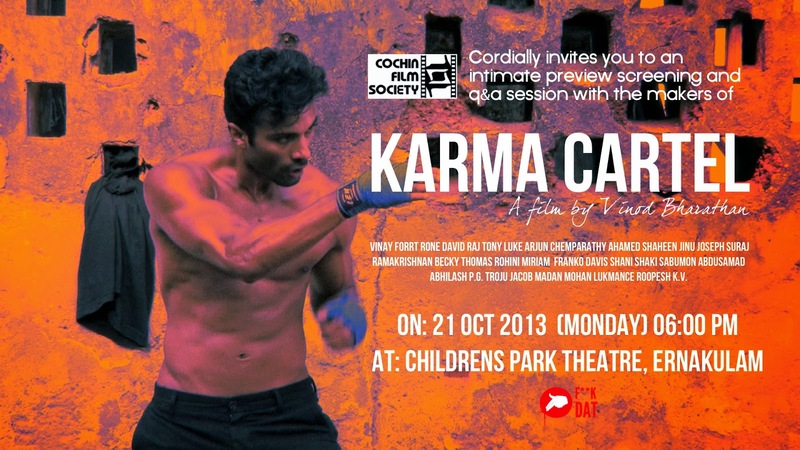 By looking at everyday life in India and Brazil, it presents a unique view about the need for economic, social and environmental values to co-exist in the changing world we live in, the filmmakers unravel the country's promising prospects for global take-off. 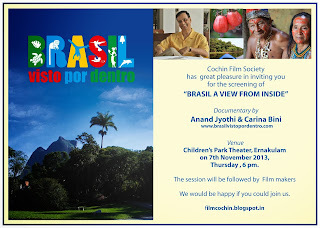 Whether you're a specialist on Brazil or simply a fan of anything Brazilian, this gem of a film by an Indian-Brazilian couple is an ideal warm-up before the 2014 World Cup and the 2016 Summer Olympics, going beyond the usual cliches. Filmed in the Amazon, Rio De Janeiro, Brasilia, Paraná and India, this documentary provides the most timely and insightful guide to current Brazil. The film extensively covers scenes of Brazil’s communities and lifestyle with in-depth interviews that give viewers a refreshingly personal take on development issues. The account vividly captures images of rich cultural contexts and natural resources, with messages that are of great relevance to the world. 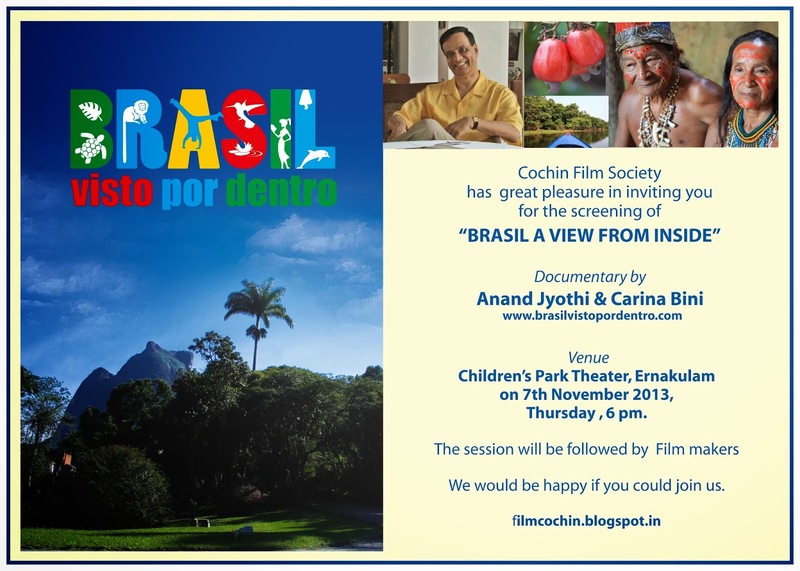 The documentary also highlights the relevance of unfolding stories about Brazil and India, with key parallels between these countries that represent global and developing economies headed toward critical crossroads, effects of climate change, and growth that calls for more inclusion. In the global scenario, revelations on the role of diversity, education and environment in the emerging country! Ananda Jyothi: Ananda Jyothi is director and musician, born in Kerala, South India, lived in Brazil for 14 years. Directed several documentaries throughout his career, among them: Planet India (2011), India Devi Divine (2007), Mudra: Magic of Music and Dance of India (2012), Mantra Tropical (2010), and the latest Brazil a View from Inside (2013). He is the founder of Tantri Art and Culture, the production company that promotes cultural cooperation between India and Brazil. 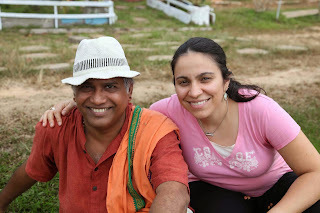 In 2012 he was the curator of the largest exhibition of Indian cinema in Brazil, Bhava: Universe of Indian Cinema, in Brasília, Rio de Janeiro and São Paulo. Carina Bini: Director, Writer :A Brazilian Carina Bini has a background in Communications - Journalism, is a writer, director, and executive producer. She is the Founder of Tantri Art and Culture, a producer company who works with cultural exchange. Author of fiction script La Mamma, awarded by Ancine (National Cinema Agency - Brazil) and Direzione Generale Per Il Cinema (DGC) and the Foundation for Experimental Cinematography Centre (CSC), Italy. Wrote and directed more than a dozen documentaries throughout her career. The movie "Brazil, a View from Inside" is her latest work. thugs, through an inter-twining vignette of their lives. way into the National Film School of Denmark. first film must not be financed by the industry. the idea for KARMA CARTEL. plan and set on a journey to India. days to complete filming; but not practically. to stay at any single place for long periods of time. record length of 7minutes (The story telling scene by Q). of 6 scenes a day. by shooting their scenes randomly. where Vinod had to return to Copenhagen. 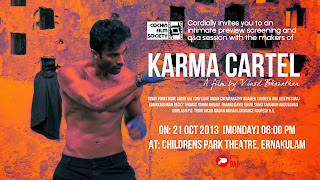 to India to make a film - Karma Cartel.